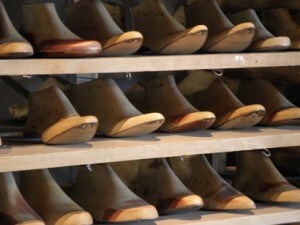 Tate Shoe Company was founded by four brothers from a family of traditional shoemakers. They followed in the footsteps of their father who served in executive positions with several international shoe manufacturing companies in the post-war era of the 1950s. After investigating the flourishing retail shoe market of the 1970s, they concluded that there was a need for a fresh-looking line of ladies’ dress, casual, and comfort footwear that combined high quality with innovative styles, David Tate Shoes was born. David Tate is headquartered in Southern California, which is widely recognized as an area of fashion leadership. The design team at David Tate is brimming over with fresh ideas, and these ideas are being executed by the greatly skilled craftsmen employed in their workshops. David Tate uses nothing but the finest skins and fabrics in their shoes, and special attention is given to fitting and comfort to please women of discriminating tastes. David Tate offers a wide range of sizes and widths in a variety of styles which includes sandals, pumps, boots, wide-calf boots and booties. All David Tate shoes embody the highest-quality materials, top-notch workmanship, and amazing comfort. Whether you are in the market for sandals or pumps, for evening wear, or for leisure footwear, you can trust David Tate’s flair, exquisite taste, and refined touch to guide you.